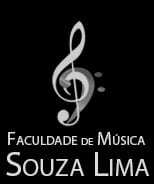 Preparatory courses for the hearing of scholarships and preparation for the beginning of the international or national Souza lima faculty with teachers trained by Berklee and in Brazil, renowned and recognized musicians abroad and in Brazil, with instrumental classes, theoretical and practical band. cursos preparatórios para audições para Bolsa da Berklee e para ingresso na Faculdade Souza Lima com professores renomados no meio musical formados e treinados pela Berklee. Credit transfer course for Berklee. The student makes 2 years in Souza Lima and 2 years in Berklee. Candidate must be intermediate level to participate. Regarding the Hearing, the candidate will do three tests. Faça a sua inscrição no site da Berklee diretamente para participar da audição no Brasil. Gilson Schachnik is a professor in the Ear Training Department, and adjunct faculty in the Ensemble Department at Berklee College of Music. Originally, from Sao Paulo, Brazil, Gilson toured the country with Rosa Maria and Patricia Marx. He also recorded several jingles; notably for BASF and TV Cultura. Schachnik earned his Bachelor’s Degree in Jazz composition from Berklee College of Music in 1996. Since then, he has performed with Peter Erskine, Harvey Mason, Claudio Roditi, Bill Pierce, Miguel Zenon, Antonio Sanchez, and many others. Schachnik joined the faculty at Berklee in 2002, and in 2010, authored the book, Beginning Ear Training. He formed the group Mozik, with Brazilian drummer Mauricio Zottarelli, releasing their first recording, Mozik. Since then, the group has performed extensively in the United States. In addition to being an active performer in the Boston area, Schachnik has traveled for Berklee, conducting auditions, masterclasses, and performances in Canada, Brazil, and Palestine. Rick DiMuzio, jazz saxophonist, composer, and educator, has performed concerts and clinics throughout the United States, Europe,Central and South America, and Asia. In addition to leading ensembles under his own name, he performs regularly as a sideman with the Greg Hopkins’ Jazz Orchestra, Leo Blanco Quartet, Bert Seager Quartet, and the Fernando Huergo Quintet. He has played or recorded with such artists as David Liebman, Steve Grossman, Bill Perkins, Jaleel Shaw, Kenny Wheeler, Conrad Herwig, Lage Lund, Danilo Perez, James Williams, Leo Genovese, Esperanza Spalding, Terri Lyne Carrington, Roger Humphries, Francisco Mela, and Jamey Haddad. His debut CD as a leader, First Offerings, features his original compositions as well as his tenor and soprano saxophone playing. In addition to his performing career, Rick is a Professor at Berklee College of Music where he teaches courses in ear training, improvisation, saxophone, and ensemble. He earned his doctorate in jazz composition from New England Conservatory, a master’s degree in jazz performance from the Eastman School of Music, and a bachelor’s degree in music education from Indiana University of PA. Past teachers include Bob Brookmeyer, Jerry Bergonzi, George Garzone, Bill Dobbins, and Rayburn Wright.